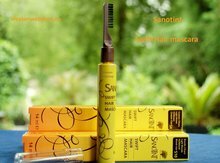 Sanotint Swift Hair Mascara covers regrowth on the roots immediately - Vivasan Webshop English - World wide delivery Vivasan Official Webshop® is specialized in shipments to the UK, Ireland and Scandinavian countries. Best prices! 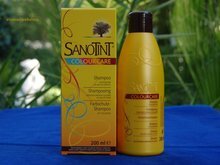 Sanotint Swift Hair Mascara is Easy to apply and allows you games of colours to experiment with. 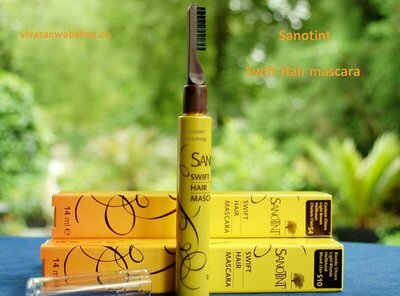 Swift hair mascara can be applied onto natural or treated hair. Do not use on eyelashes or eyebrows. The use of the hair mascara may cause allergic reactions. Avoid contact with eyes. If the mascara comes into contact with the eyes, rinse well immediately with water. Keep out of reach of children. For retouches on the hair roots apply Sanotint Swift Hair Mascara on dry hair with the special brush, distributing the mascara from the roots up to where it is necessary. After a few minutes, comb your hair, in order to obtain a uniform result. 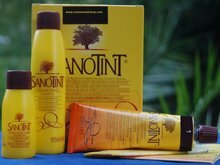 If you want to create contrasts of colour, divide strands and apply the product from the root to the ends. After a few minutes, brush your hair, for a smooth effect. The retouch washes out with the first or second shampoo. 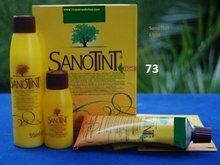 Sanotint Swift Hair Mascara can be used for all hair types.